Finding stocks that provide the perfect balance of upside and income can be difficult in a sea of tens of thousands of publicly traded companies. To narrow the field and find the best dividend stocks to buy, we use the Money Morning Stock VQScore™. We monitor the roughly 1,500 most profitable stocks on the market and then find those with the most growth potential. 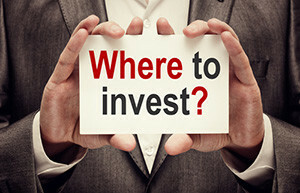 This ensures our list gives you the best insight on when you should buy or sell a stock. When you combine strong dividends with the growth potential our proprietary formula uncovers, you get a list of stocks that are on the verge of a seriously profitable breakout. Owning stocks with scores higher than 4 means you're looking at stocks with better probabilities for higher prices. Let's look at three of the top dividend stocks to own right now. Real estate has been the secret to wealth generation for the richest investors over the last hundred years. But the average retail investor doesn't need a trust fund to tap into the wealth-generating returns that come from owning commercial properties. We're bringing you one of the best ways to profit in real estate that offers a mouthwatering dividend yield of 6.44% right now. The company is Brookfield Property Partners LP (Nasdaq: BPY), a division of Brookfield Asset Management Inc. (NYSE: BAM). In fact, Money Morning Special Situation Strategist Tim Melvin called BAM a stock to "own forever" on May 22. Its real estate arm has finally established a long-term plan to succeed in the wake of its purchase of General Growth Properties Inc. (NYSE: GGP), which held the stock back since the deal's announcement. With a plan in place to deleverage certain assets, establish value for its properties, and establish greater synergy between the companies, the stock is a remarkable long-term play. Brookfield has a VQScore of 4, which is right in the "Buy Zone" of our scoring system. In the next 12 months, RBC Capital Markets expects the BPY stock price will climb to $25 per share. From today's (Aug. 15) opening price of $19.73, that's a potential profit of 26.71%. Any time that this stock drops below $20 per share in the next year, it will be a safe buy and a safe way to accumulate income based on the dividend-to-price-share ratio. J.M. Smucker Co. (NYSE: SJM) is about to hike its dividend for the 21st year in a row. It currently pays a 3.04% dividend yield, which is above the average of most of its industry peers. The company will increase its dividend payout from $0.78 to $0.85 per share for investors of record on Aug. 16. The payment will come on Sept. 4. We recently provided a breakdown of the Smucker business model and why the stock price could be headed into the stratosphere. You can read the detailed SJM report right here.